Just as with movie credits, the features you find in Sapphire listings have a “billing order.” The “stars” may not be printed in gigantic superstar type—but the order in which they appear do reflect changes in current buyer priorities. For a homeowner soon to add their property to this spring’s Sapphire listings, it’s important to learn which features currently tend to attract the most favorable attention from prospective buyers. It’s of more than marketing interest, as well: knowing what’s in and what out can also help determine where improvement dollars should go. 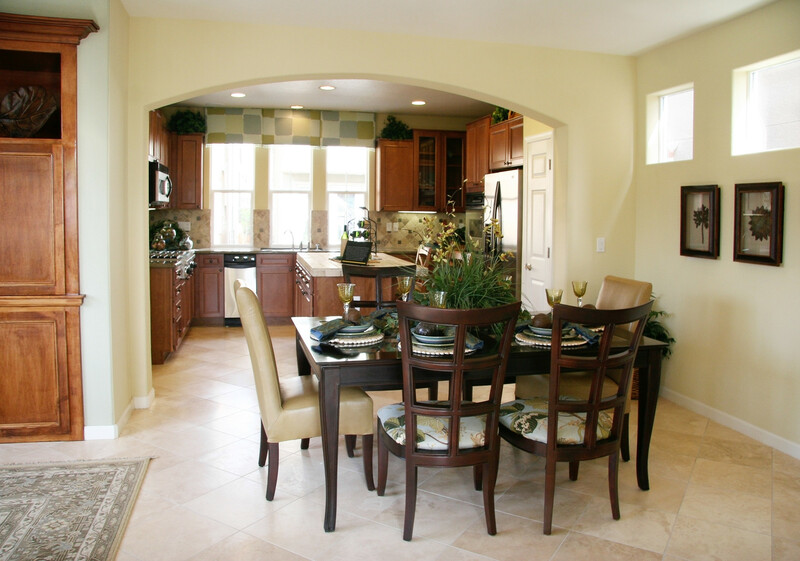 The most extensive survey of home builder trends is conducted by their national association, the NAHB. By quizzing nearly 400 builders, they concluded that other features on the decline include outdoor fireplaces, sunrooms, and media rooms. Taking their places (and likely candidates for what we’ll soon see creeping toward the tops of some of our Sapphire listings) are the walk-in closets (since people want to get out the door efficiently first thing in the morning) and well-organized and well-lit laundry rooms (to improve the efficiency of the household). If you’re soon to be scrutinizing your own home to determine which of its best features to emphasize, I’d be pleased to furnish an opinion—it will be based on the results we’re seeing from today’s Sapphire listings! 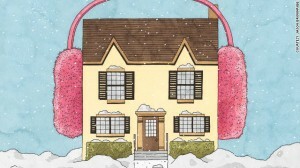 Two tips that could seem counterproductive will cut energy costs in many a Highlands home. You’d think you should just switch ceiling fans off until spring, but not so. For cooling, the blades are set to spin counterclockwise so that cool air won’t be wasted down near the floor. The tip is to reverse the fan’s rotation to clockwise. That will act to push warmer air down from the ceiling. Wait until the blades come to a stop, then slide the small direction switch (it’s usually next to the pull cord). The second tip is actually one you can do any time of the year since hot water heaters are usually set to heat to 140 degrees. In truth, most of us don’t need it that hot. Try resetting the temperature to 120 degrees, and see if it’s sufficient. If so, in the course of a year you’ll save more than a few dollars! For a few dollars, a tube of caulk can be a final defense against the creep of cold outside air. Use caulk to seal cracks in the walls and gaps around your windows and doors. In extremes, there are inexpensive extra measures, such as see-through plastic sheets to cover windows with a second seal (doing both would keep the most remote Siberian cabin as buttoned-up as a baby kangaroo). If a drafty door will have to wait until spring for full renewal, an interim trick is to roll up a bath towel and place it against the threshold. This temporary fix keeps out the worst drafts and doesn’t cost a dime. If you have water-served central air, during the colder months when it’s out of service, good maintenance requires draining the water hoses. Split air conditioners don’t have that issue, but some of them need an exterior cover for preventing drafts (if you haven’t felt any on chilly evenings, it’s not necessary). If you haven’t already removed any window units, better go to the hardware store to buy exterior covers: a lot of chilly air can make its way in through uncovered vents. The Big Three tips alone comprise a Highlands home winterization program that costs less than a burger and fries—yet can result in measurable energy savings. If you have found any other simple energy savers, I hope you’ll share: drop me an email, or give me a call at the office! What Improvements Add the Most Real Estate Value? “The best real estate value in Sapphire!” is certainly a little bit over-the-top when it’s used in a listing, but in truth, that’s pretty much what most prospective homebuyers in every price range actually hope to find. For homeowners planning to list their own Sapphire homes, it’s good to keep in mind. When home improvement projects are going to be part of the preparations, adding real estate value without inflating the asking price is a goal worth pursuing. Since there are so many improvements that could add to a Sapphire property’s real estate value, comparing how they have fared recently when it comes to the bottom line is worth doing. Home office conversions haven’t appeared near the top of major Return On Investment (ROI) analysis lists for very long, so their performance is ambiguous. According to the yearly “Cost vs. Value Report” by Remodeling magazine, home office remodel projects don’t even break the 50% ROI mark. That’s a precipitous fall from earlier projections. I would guess the reason is that the analysts pegged the average cost at $28,000—but with the proliferation of laptops, tablets, and home Wi-Fi, why should a home office cost that much? (As a side note, it’s probably a reasonable guess that the same technological progress has incrementally lessened consumer demand for designated home offices). 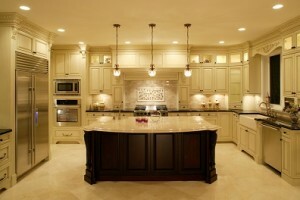 The kitchen remodel is what most people picture when they think of big home improvement projects, and rightly so. But it’s here that planning pays off: not all kitchen upgrades register as equally good real estate value boosters. The kitchen is already the most complex room in your home, and it’s also a place where you can spend a fortune on fancy appliances and sleek cabinet replacements. 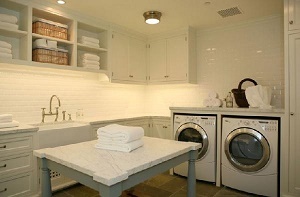 The numbers don’t lie: when it comes to kitchens, your best ROI comes through limited budget-conscious projects. Leaders in cost recouping: new sinks, replacement counters, and highly targeted improvements like backsplashes. 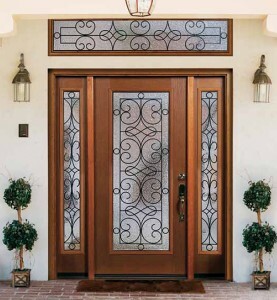 Replacing the front door with an attractive, energy-saving variety remains the top dollar-for-dollar investment. It makes sense when you remember how important curb appeal is. A properly insulated and sealed door will also save money by cutting down heating and cooling bills—savings that show up in utility bill receipts when you’re queried on the cost of running your home. Before you hit the hardware store or call a contractor, remember that maximizing the real estate value return is the ultimate goal. 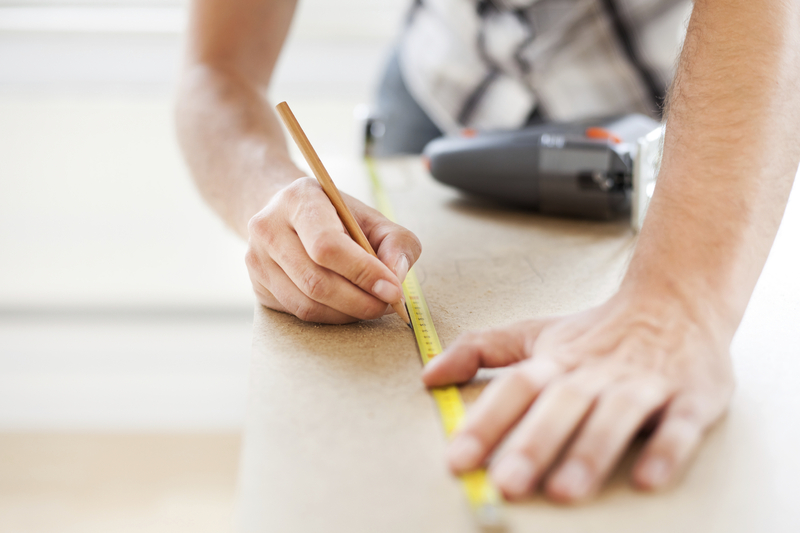 Some home improvement projects won’t add as much value as one might assume, which is why I keep an eye on the latest cost vs. value reports—and share them with my clients! Snap Quiz: Sapphire Home Décor—by Decade! First of all, a Spoiler Alert: It’s not fair to peek down where the answers are! Now that we’re clear on that, this is a quiz that will tell you how “Decade Sensitive” you are when it comes to Sapphire home décor. It took a little browsing around to put this together, but it sure was fun. The idea is to match the décor item with the decade it is most closely associated with. Ready? GO! The 70s: Answer-E. Shag Carpets (of course!). Sometimes associated with the 60s, but unmistakably reaching peak popularity in the 70s, a “period when wall-to-wall carpeting was fairly new.” Its fluffy look and feel remained popular until The 90s, when it is said to have “faded into oblivion.” Hardly—it’s still causing vacuum cleaner jams in Sapphire homes with cool “vintage” décor. The 80s: Answer-B. McMansions, aka “garage Mahal,” “starter castle,” and “Hummer home.” They may have been around since The 70s, but the term first appeared in the Los Angeles Times in 1990. Even the wisecracking nickname couldn’t curb the irresistible advantages of the mass-produced luxury home. Unexpectedly, some of them turn out to have been quite well-built. The 90s: Answer-G. Kitchen Islands. If you placed these in The 80s, you’ve got a good argument, because that’s the era when modern kitchen design really took off. In The 90s, though, the ‘island’ first took its place in the majority of new kitchens spacious enough to make it practical. They are still everywhere, so you’re forgiven if you put them in The 2000s or Now. The 2000s: Answer-F. Sustainable Materials. Even defining “sustainability” can get you into an argument (it could be salvaged wood countertops; might be granite), but the Green movement that took off in The 60s began to get serious government support in the New Millennium. NOW: Answer-D. Stainless Steel Appliances. You can’t get away from them: today’s prospective Sapphire home shopper is finding glistening stainless steel refrigerator and oven doors in kitchens all over the place. This finish may have been around for more than a decade, but is NOW available at so many price points it’s hard to think of a single décor item that is as widespread—or one that’s more likely to stay popular long into the future. With or without the stainless steel appliances, if yours is one of the Sapphire homes that will be listing this winter, do give me a call!